Stop wasting your valuable traffic. Every link shared through LinkBrandr helps you grow your brand. 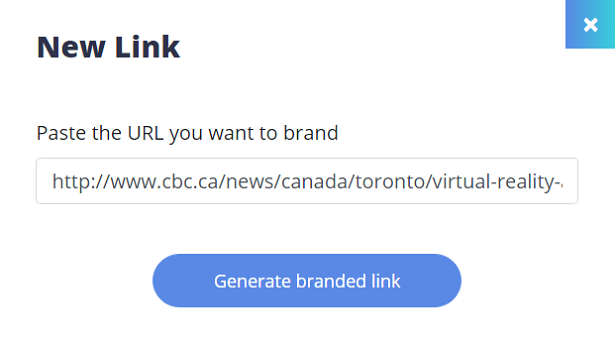 1Generate a LinkBrandr link for any content you want to share with your followers in just a few seconds. 2Share your LinkBrandr link on your social media accounts, email newsletters or anywhere else you have followers. 3Anyone that clicks on your link will be reminded of your brand & urged to take action thanks to the LinkBrandr banner or redirect page! Every time you share a link you drive traffic away from your website or social media accounts. Even worse, if your content is shared by others then people don’t know who initially shared the valuable content they’re now consuming! 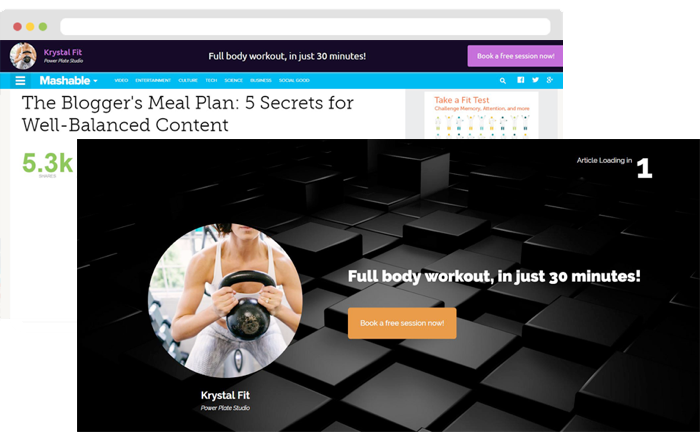 With LinkBrandr there’s finally a way to share great content without driving people away. 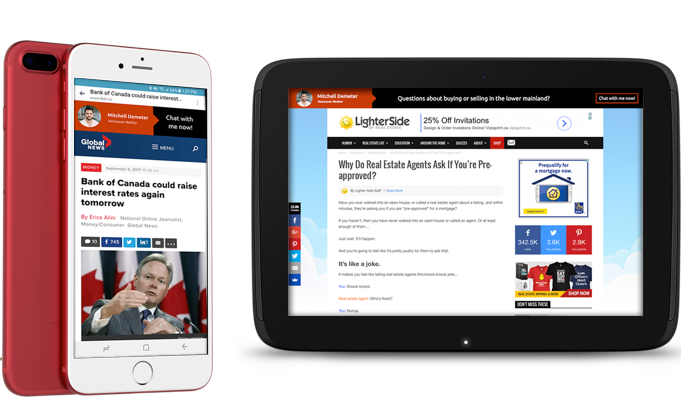 LinkBrandr gives you the option to have a banner appear at the top of each page you share using a LinkBrandr link. 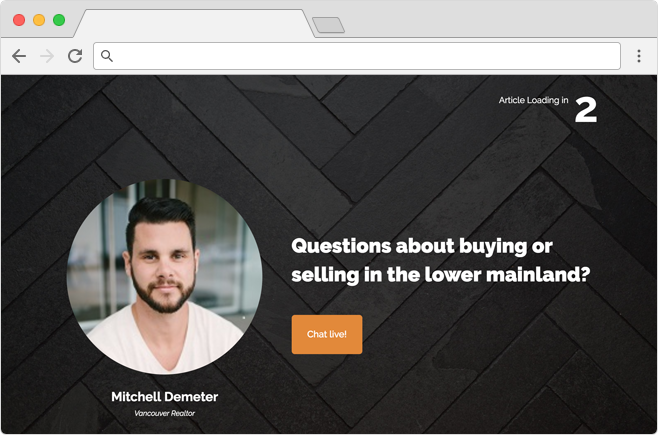 You can customize the content with your business name, a custom message, and even a call to action. You can even style it to make sure it fits with your brand identity. If you choose this option then a custom redirect page will appear each time anyone clicks on your LinkBrandr link. For a few seconds you’ll have their full attention and an opportunity to display your brand, your custom message, and a call to action! Looking for the ultimate way to grow your brand? Combine the LinkBrandr banner and redirect page and enjoy twice the brand exposure! We're a small company dedicated to providing the best possible experience. Easy set up in seconds with no technical knowledge required. Sign in with one click and post directly to Facebook, Twitter, and LinkedIn from our easy-to-manage dashboard. Optimized for all devices. 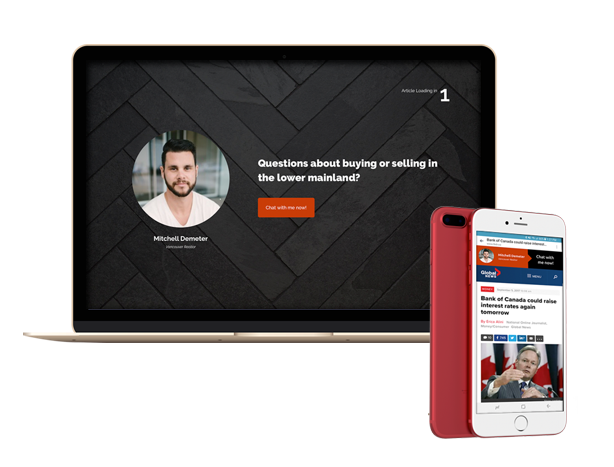 No matter how your followers click on your links - on their desktop, laptop, tablet, or phone - you can rely on LinkBrandr to grow your brand awareness. We're here to help you succeed. Real people are waiting to assist you and can be reached through email, website chat, and our help forums. Start your risk free trial now, no credit card required. © 2017 LinkBrandr.com. All rights reserved.